A day out to play. 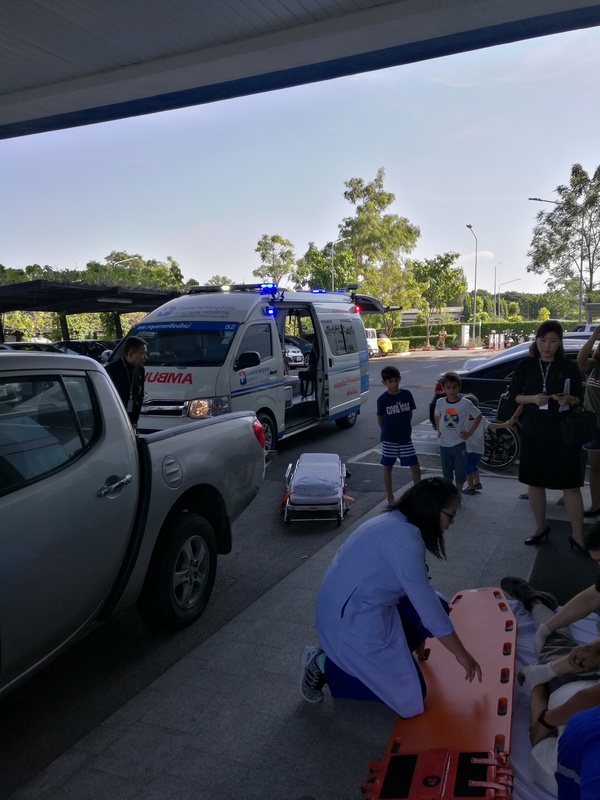 On boxing day, 26th December, the Bangkok Hospital in Chiang Mai ran an exercise to practise their code 3 response plan to a major accident with multiple patients. 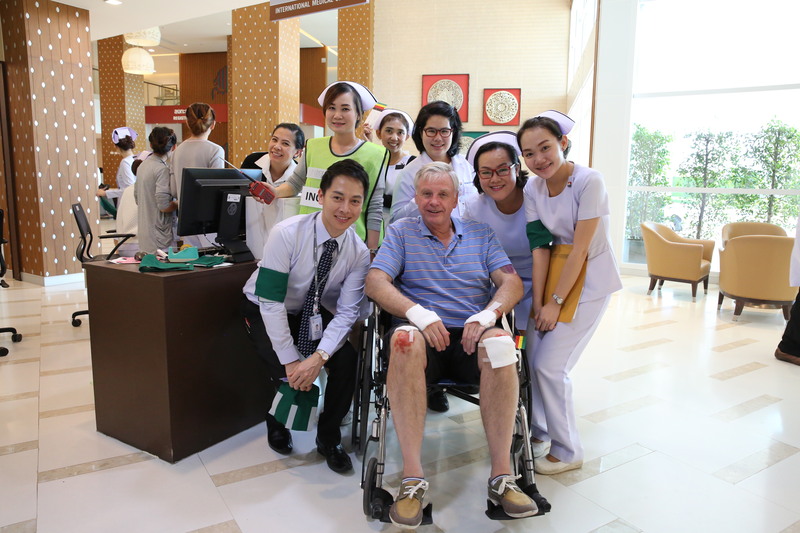 The hospitals international liaison manager had sought support for a number of volunteer patients and some came from the Chiang Mai Expats Club. We attended the hospital for briefing and make up ahead of the exercise. The scenario involved a major bus crash with 40 victims with various degrees of injury. The injured are being dispersed to various hospitals around the city. 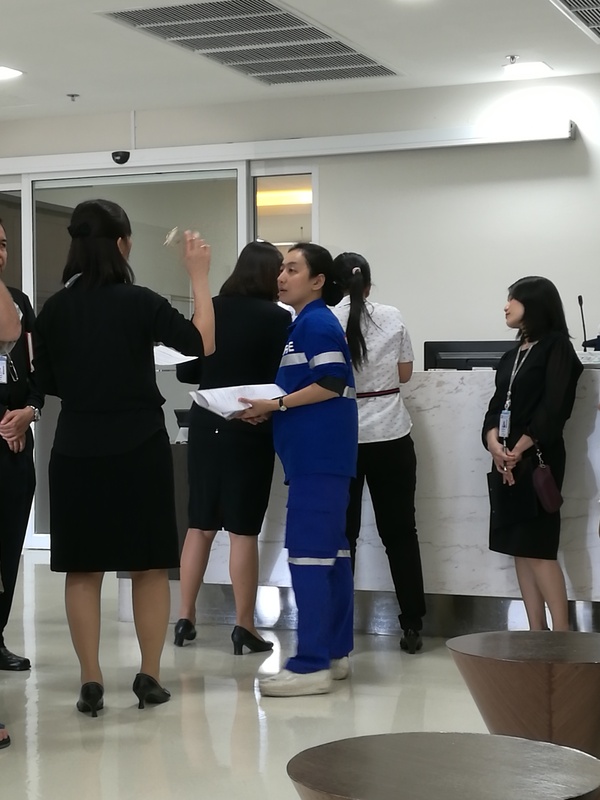 The incident response centre has assigned 12 victims to the Bangkok Hospital. 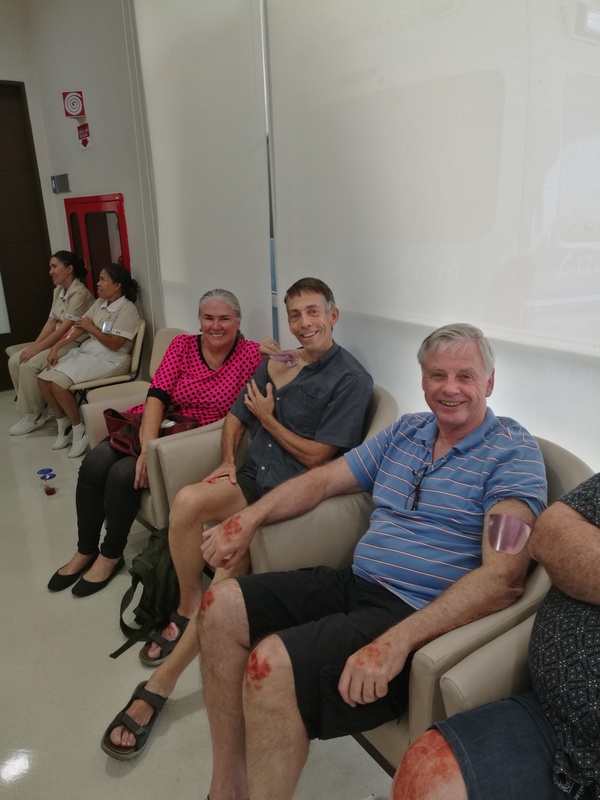 The drill finally got underway and the patients were staged at the back of the hospital and were then transported, depending on our injuries, in ambulances and rescue trucks to the hospital emergency department. Here we were met by triage staff to access our injuries and to have us taken to different areas of the hospital for treatment. 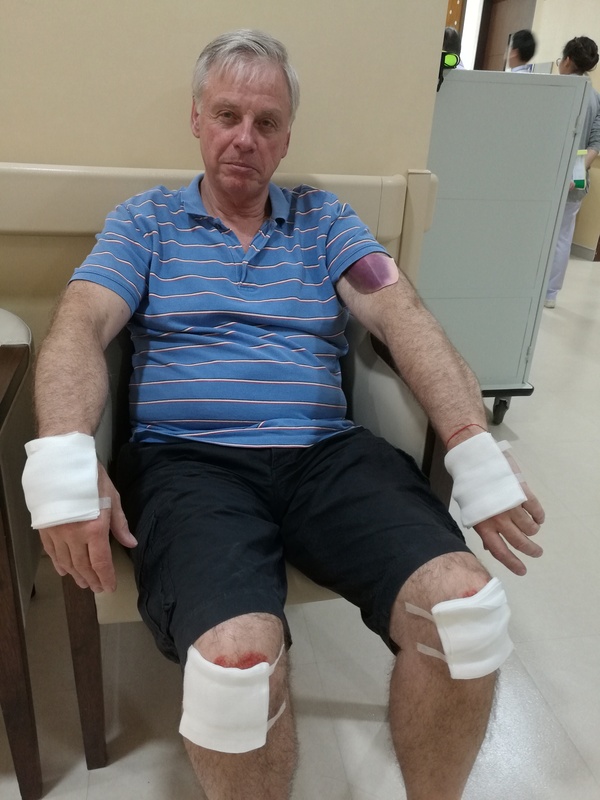 Some were taken to emergency for treatment and eventually to the operating theatre for surgery (pretend) while some of us less injured souls (like me) ended up in outpatients being dealt with. 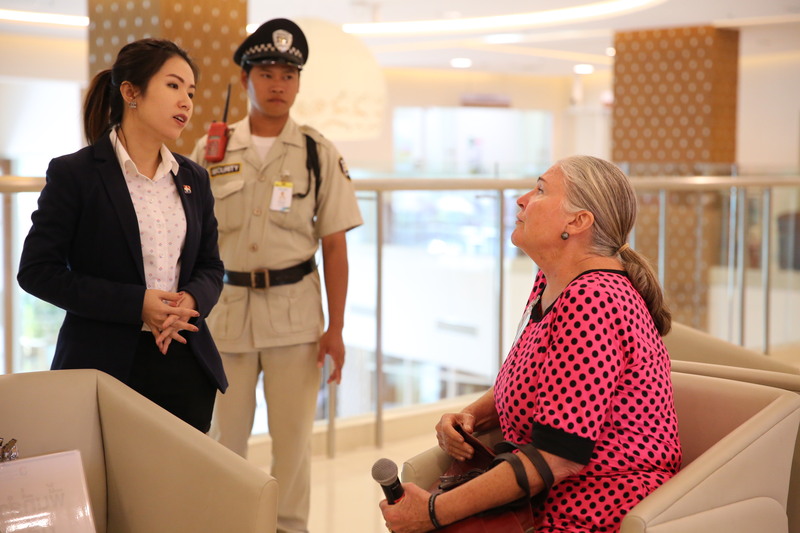 The scenario also involved a troublesome media presence and a difficult reporter – a local expat it seems? She was put under the control of security in no time. My injuries were abrasions to knees and arms. After wound cleaning, dressings and x-rays (simulated) my treating doctor (real) sent me on my way with some pain killers. I was instructed to return in two days for follow-up (pretend) and to see if any infection developed. We all had a bit of fun and there were a few pictures taken all around to capture the activity. After the exercise we were treated to some refreshment during our debrief. 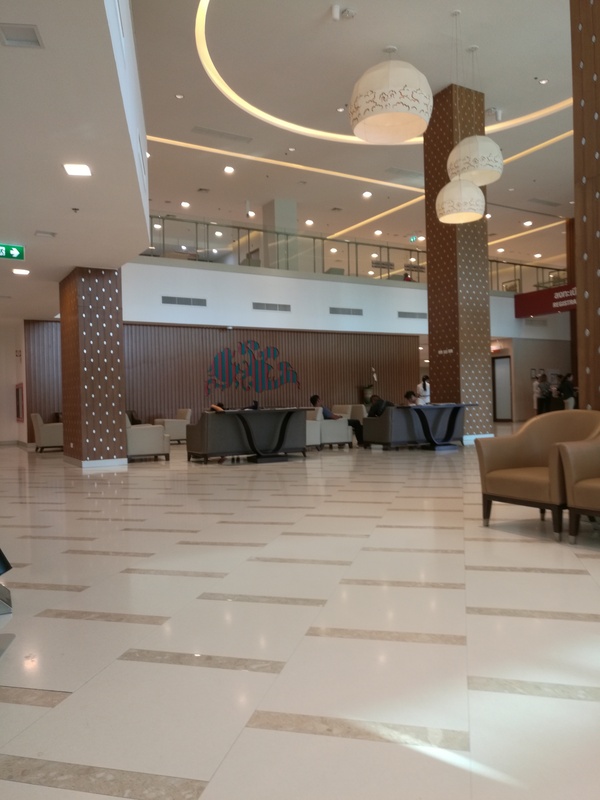 It was an event from 12 noon to about 5 pm. It was good to see them preparing for the holiday season and to be testing their response plans. It was fun to play, to help out and get involved. Having participated in airport exercising for many years, but from the management side, it was relaxing and much more fun just to be a role player.